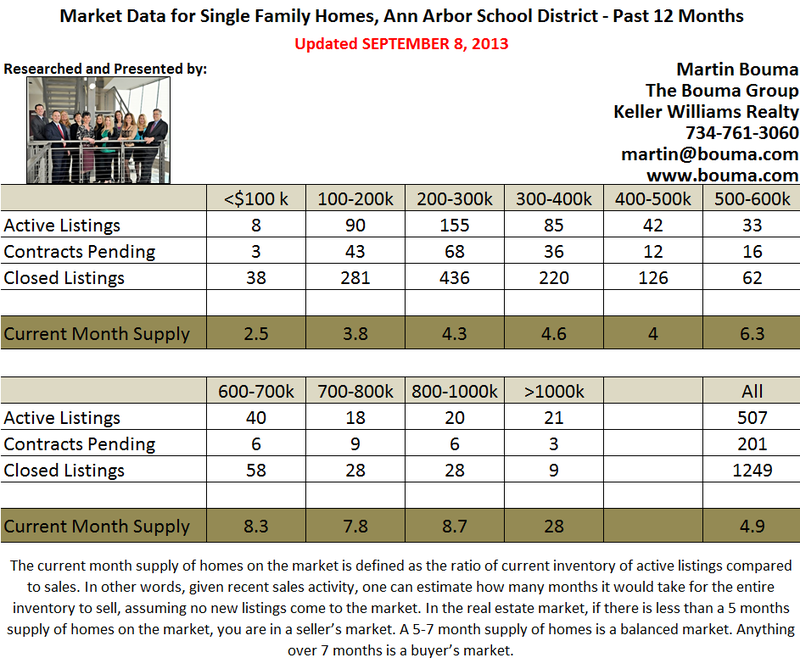 As the summer market begins to wind down in August, with the last of the summer vacations and preparing for the new school year, Ann Arbor listing inventory and home sales slow a bit from last month. But when compared with this time last year, both inventory and sales are up slightly. The under $400,000 price range remains in a seller’s market with the overall market just shy of a balanced market with a 4.9 month supply of homes available. Last fall, and through the winter months, we saw a steady decrease in inventory and a steady increase in sales. This left the market in need of homes for sale to keep up with buyer demand, which in turn helped values to rise. We are now seeing the market balance out and will continue to keep a close eye on trends as the year continues. Be sure to check back here each month for an update for Ann Arbor Real Estate, Ann Arbor Condos, Dexter Real Estate, and Saline Real Estate as we track each month’s statistics. To learn more about home values in your specific neighborhood or what your home is worth, contact the specialists with The Bouma Group at 734-761-3060 or info@bouma.com today!